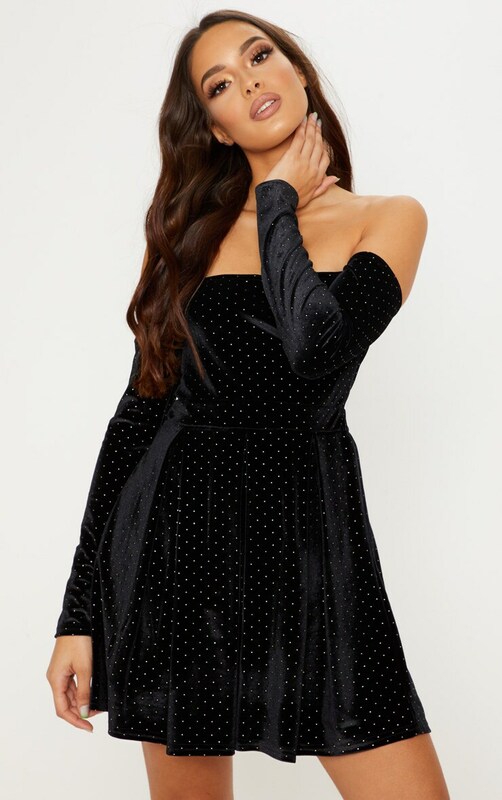 We are obsessing over all things velvet right now and this skater dress is at the top of our hit-list. 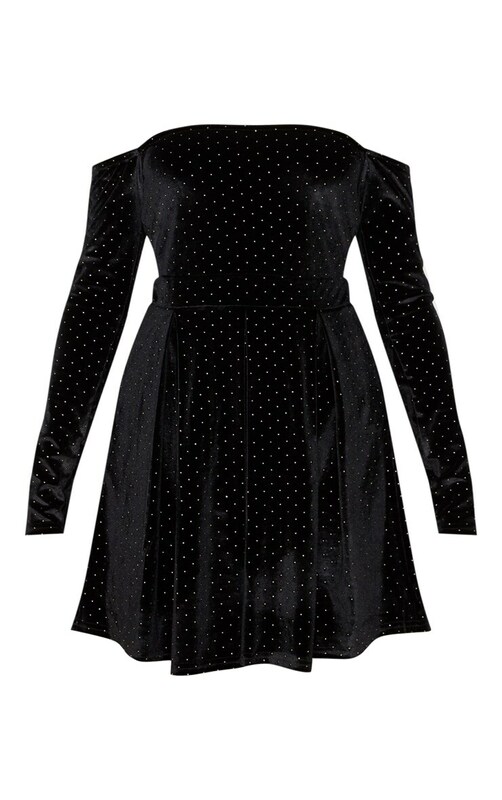 Featuring a black velvet studded fabric, flattering bardot neckline and loose skater fit, you can't go wrong. Style with barely there heels and statement earrings for a weekend-worthy look we're loving.